The Blitsbokke suffered a 19 – 7 loss to England on Sunday in the Vancouver. They have however qulified for their sixth consecutive final in the HSBC World Sevens Series, held in Canada. They are still enjoying a 23 point lead on the log, after gaining 19 points on sunday, this still keeps them atop of the log, with England behind them with 103 points. In third place are defending champion Fiji on 100 points. Kazuyoshi Miura who plays for Yokohama FC, has become the oldest professional footballer to score a goal at the age of 50. Yokohama FC played against Thespa Kusatsu and the only goal scored in the was by Kazuyoshi. Miura took the title of oldest goalscoring footballer from former England International, Sir Stanley Mathews who previously held the record. In The FA Cup Tottenham Hotspur reigned supreme over Millwall as they just dominated, hand Millwall a 6-0 beating. 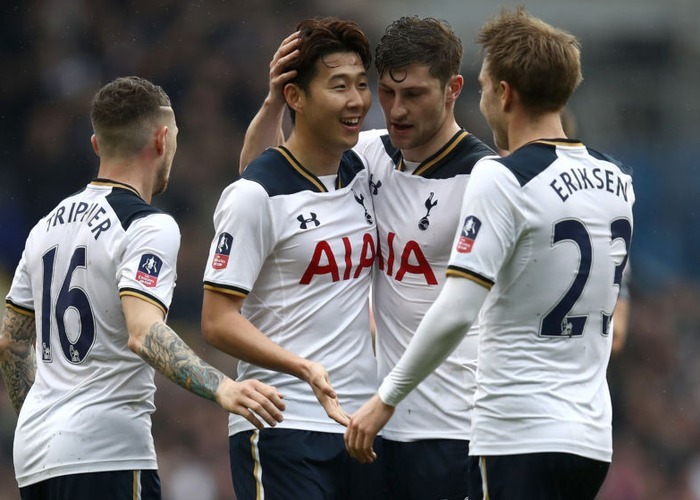 Son Heung-min stole the match, scoring a hat-trick, and Vincent Janssen scored his first goal for Tottenham. Now all eyes are on the Chelsea vs Manchester United game on Monday night, will Mourinho get his revenge? After this weekend’s results of the six nations, the Springboks have dropped their world ranking, they are now ranked 7th, after Wales beat Ireland 22-9, which pushed them up to 6th above South Africa. England also gave Scotland quite a beating this weekend, defeating them by quite a large margin, 62 – 21.